The techniques of mindful awareness have helped millions of adults reduce stress in their lives. Now, children-who are under more pressure than ever before-can learn to protect themselves with these well-established methods adapted for their ages. Based on a program affiliated with UCLA, The Mindful Child is a groundbreaking book, the first to show parents how to teach these transformative practices to their children. Mindful awareness works by enabling you to pay closer attention to what is happening within you-your thoughts, feelings, and emotions-so you can better understand what is happening to you. 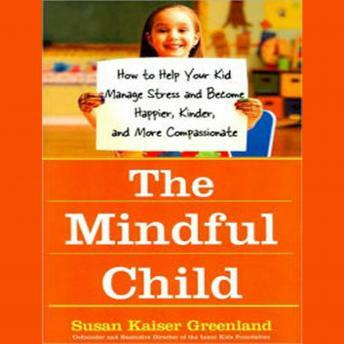 The Mindful Child extends the vast benefits of mindfulness training to children from four to eighteen years old with age-appropriate exercises, songs, games, and fables that Susan Kaiser Greenland has developed over more than a decade of teaching mindful awareness to kids. These fun and friendly techniques build kids' inner and outer awareness and attention, which positively affects their academic performance as well as their social and emotional skills.